Pictures – All right reserved. 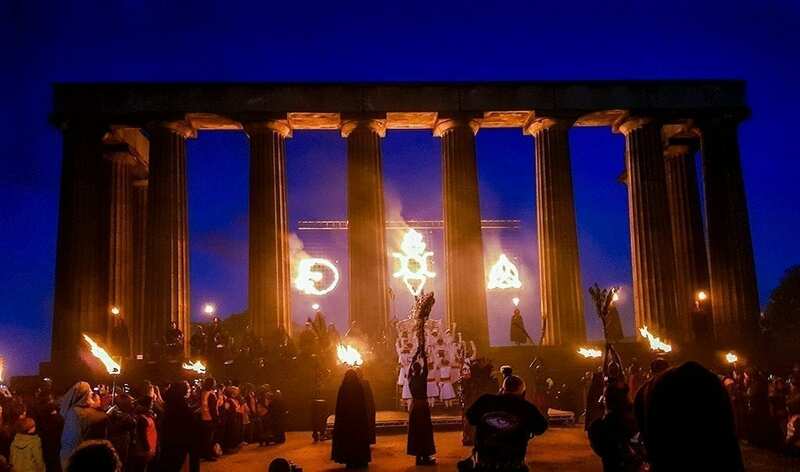 Every year, The Beltane Festival gathers hundreds of people to celebrate the coming of Summer on Calton Hill, in Edinburgh. This modern reimagining takes its roots in an ancient Celtic festival marking the changing seasons. Everyone comes together to celebrate the end of Winter and the beginning of Spring in a mix of music, fire and physical performances. The festival draws all kind of street performers, split into different groups, each having its own theme for the costumes the put on according to the characters they represent. You will encounter the Blues, keepers of the ritual, the Whites, companions of the May Queen and the Reds, those who embody chaos. Body painting, loose leaves, and long feathers are all common parts of their costumes. The performers are also not afraid to show a little (or even a lot of) skin! The many entertainers demonstrate their skills in acting, dancing and acrobatics often mixed with impressive pyrotechnics. Fire has a significant place and meaning throughout the festival, as it symbolises warmth during the cold night. Beltane’s many fires literally burn the last traces of Winter away, enabling Spring to come out of their ashes. Enter a journey from sunset through the middle of the night, and watch all the rituals that make this event so special come to life in this video. 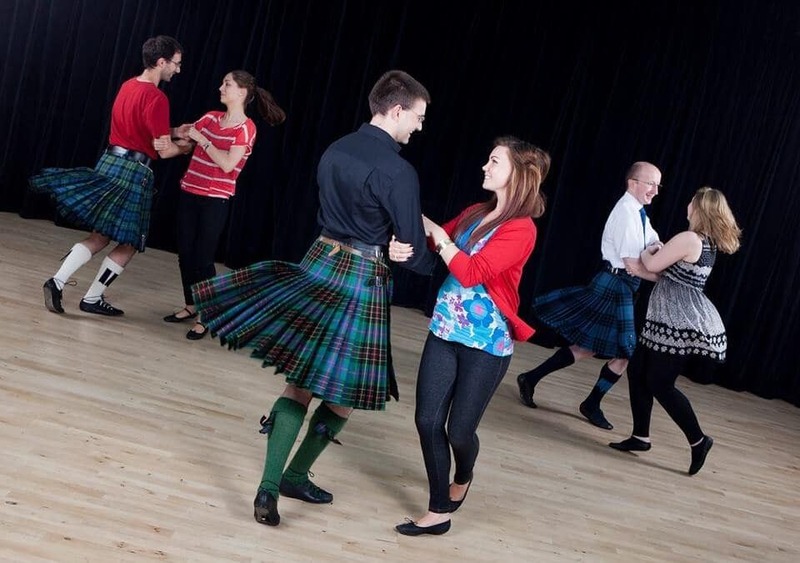 What is the Scottish Ceilidh and Ceilidh Dancing? Originally the word Ceilidh (kay-lee) descended from the Gaelic word for ‘gathering’ or ‘party’… However, these days when people think of a Ceilidh, they think of a fun-filled night of wild dancing, good music and great company! A ceilidh is a Scottish social event which involves traditional folk music and dancing. You will normally come across ceilidhs on special occasions such as weddings, birthdays and anniversaries. 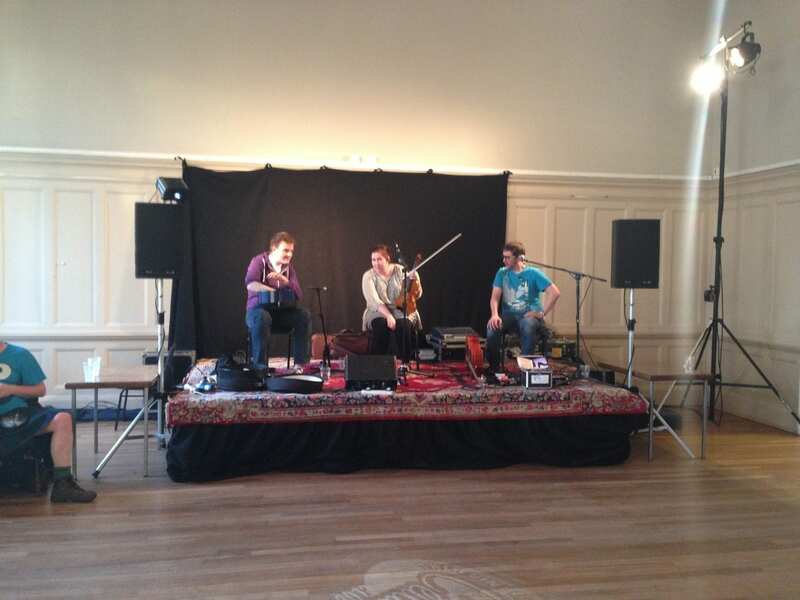 However, there are several venues across Edinburgh and Scotland which regularly host ceilidhs all year round such as Summerhall and the Ghillie Dhu. To start this article we’d like to have you in the mood. Here is a super nice video that you can play in the background while reading to feel the Sottish spirit. How does this Ceilidh thing work? So one of the band members walks us through each dance. He explains each part of it until it seems like we understand. We try it once without music before doing it “full out”. Then, the music starts, he gives us the cue so we all start at the same time and you just hope you remember the moves! Each dance lasts between 5 and 10 minutes. The dance moves aren’t really hard, you just have to remember them! Where does Ceilidh come from? Dating back to 1875, Ceilidh originates from Scotland and Ireland although its name comes from Gaelic; it’s a combination of Scottish, Irish and English folk music. 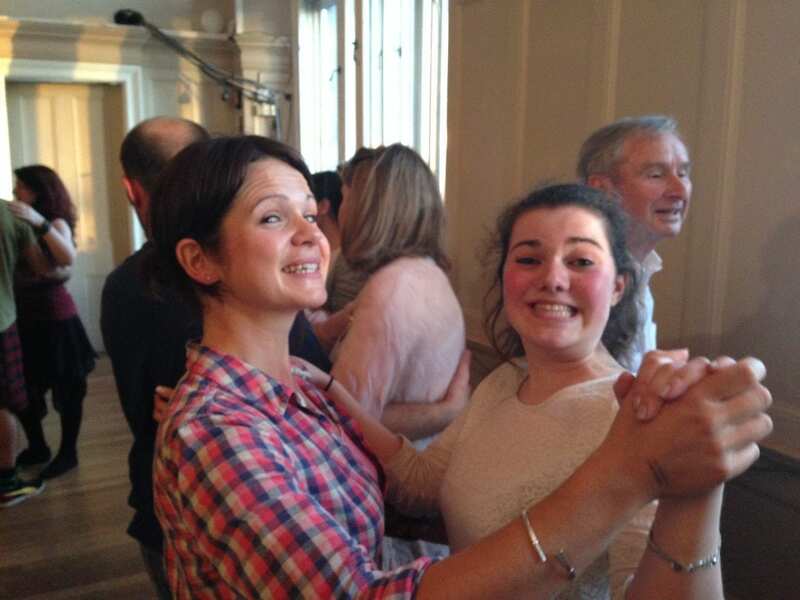 Ceilidh music and dancing (pronounced “kay-lee” and meaning “visit”) is becoming more and more popular! We are getting a number of enquiries from brides and grooms to be as well as others planning a celebration, requesting a Ceilidh band for their special event. As so many people are asking all about it we thought it would be useful to tell you what it is, where it came from and why it makes an electric party atmosphere with plenty of fizzing excitement! Traditionally it is a gathering or social event, and it didn’t necessarily involve any dancing. 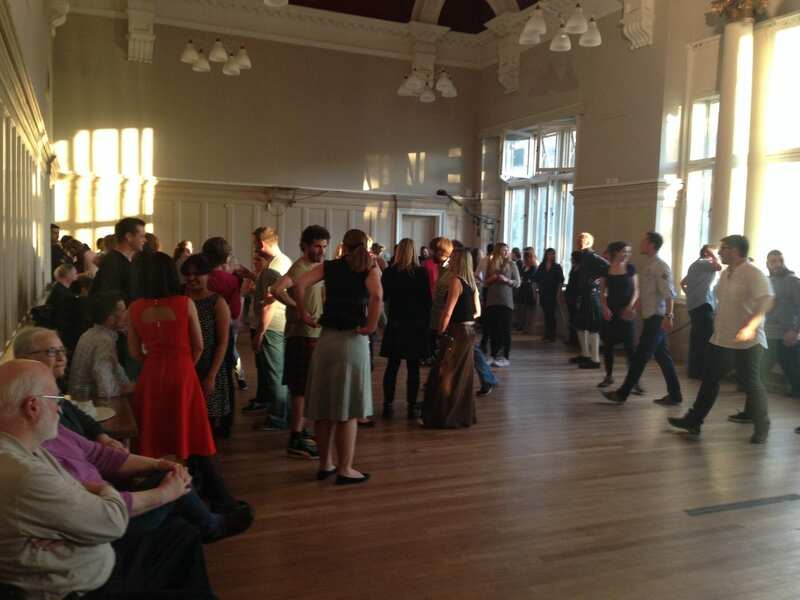 These days a Ceilidh is a sociable way to bring people together involving Scottish music and dance. A Ceilidh band normally consists of two or three people, a fiddler, an accordionist and a ‘caller’ to help everyone get into the swing of things and learn the dances. But, line-ups may also include guitarists, drums, keyboards and whistles amongst other instruments. Nowadays, the music isn’t always traditional either, it can be very contemporary as there are a number of new-style Ceilidh bands bringing a fresh slant on the old folk songs and even putting a twist on current music. This makes it funky, modern and gives you a brand new sound. There’s plenty of rock and roll influence now as well, so if you really want your guests to get down and groove check-out some of Warble Entertainment’s Ceilidh bands – they are absolutely guaranteed to get even the most reluctant dancer strutting their stuff! 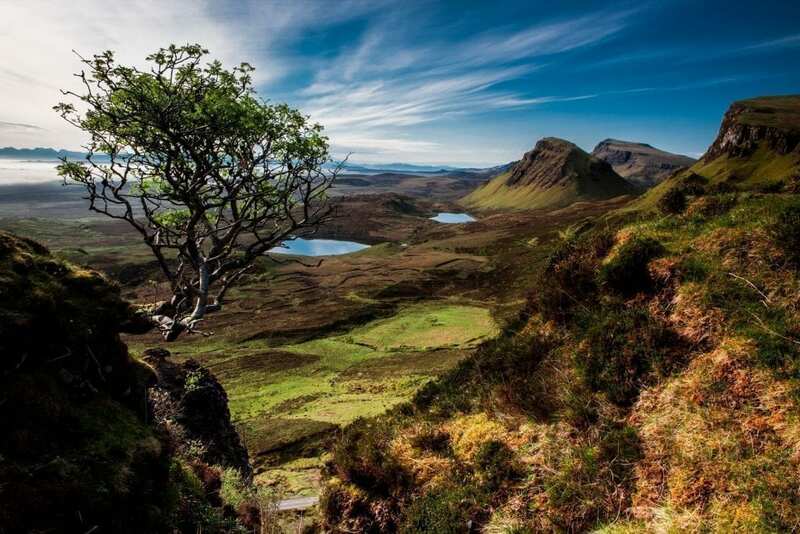 What is its role in Scottish culture? Most people in Scotland know how to ceilidh dance. They were taught in gym lessons at school. It is often used to bring together two sides of a family at a wedding to start the party, or as a celebration at a work, Christmas or corporate party. Who is a Ceilidh Suitable for? The beauty of a ceilidh or Barn Dance is that everyone can take part, young or old, experienced dancers, to beginners and even those with two left feet! No experience is necessary! It doesn’t matter what age, ability or personality type a person is – everyone loves to get involved and no experience is necessary! It is very easy to pick up. The dances are all varied and there are plenty of paces available, fast, slow and even mid-tempo – so if some of the dances are hard to keep up with that’s your cue to take a break and perhaps enjoy a glass of champagne or wine before you get involved again. Party-goers love the flexibility of a Ceilidh because you may get moving when you want and take a break when your feet can’t keep up any more. If you ever get the chance to go to a Ceilidh, don’t hesitate and just go! This will be the best memory of your time in Scotland! 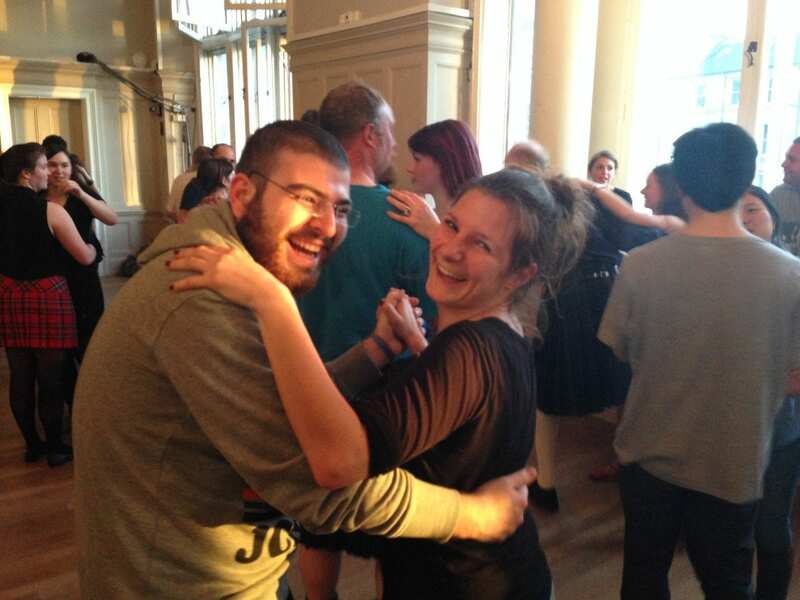 It may seem intimidating to go to a Ceilidh, but don’t worry if you don’t know the moves, somebody will help you! Ceilidhs are a lot of fun and they play a regular part in our social programme, so you will have plenty of time to practice once you’re here! Unless you’ve been living under a rock for quite some time, you must have heard of Harry Potter and the Hogwarts School of Witchcraft and Wizardry. 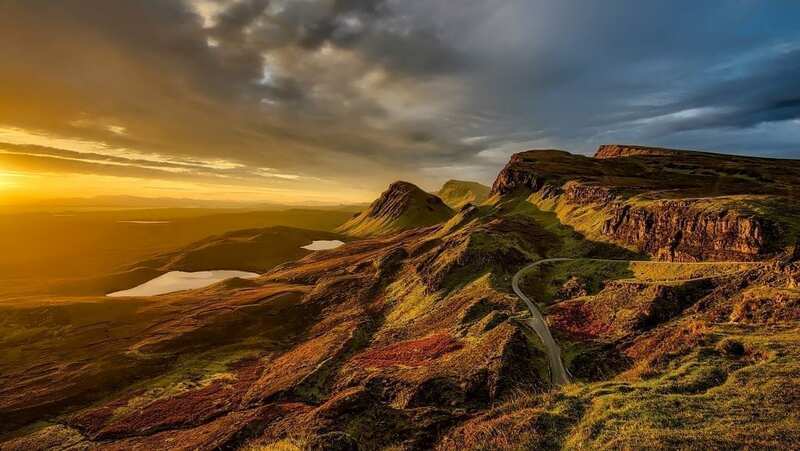 After 7 novels and 8 movies the worldwide phenomenon has attracted countless tourists and fans in London and Oxford, but did you know that Scotland is closely related to this magical world? 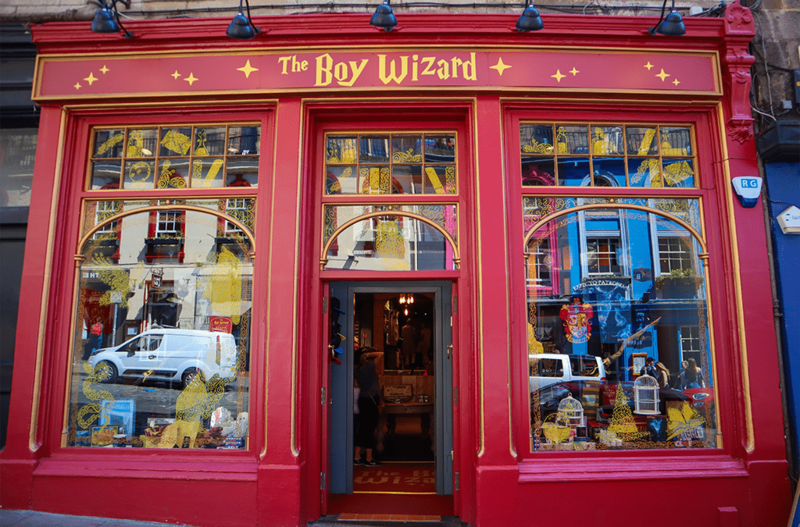 Here are some famous sites every Potterhead should visit on their next trip to Scotland! 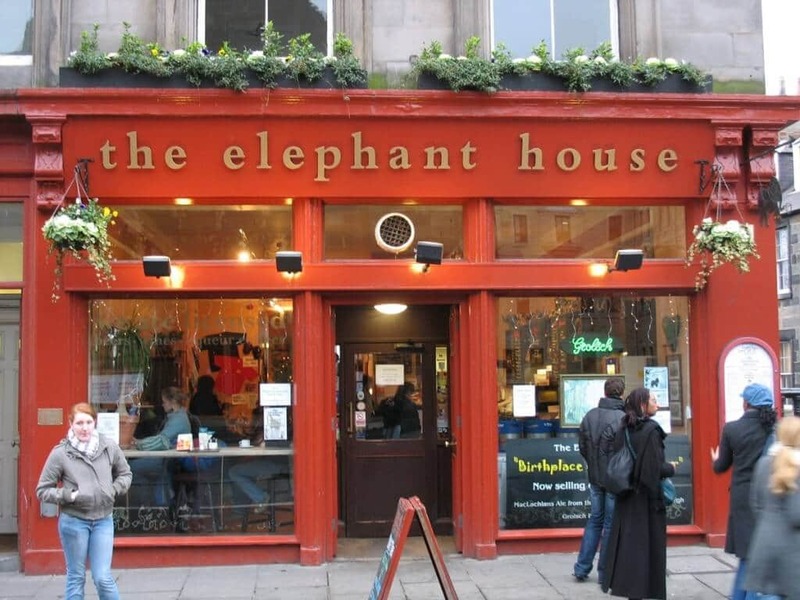 The Harry Potter author, J.K. Rowling, moved to Edinburgh in 1993 and The Elephant House is one of the cafés she used to go to in order to write her first novel, Harry Potter and the Philosopher Stone. The coffee house is constantly flooded by fans trying to retrace the steps of their favourite author, and maybe, who knows … get inspired themselves! 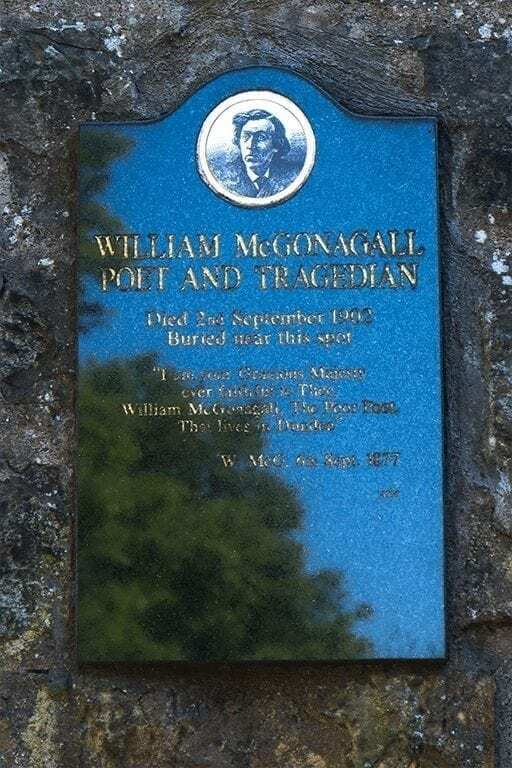 As Rowling lived in Edinburgh for several years, it’s only natural that she looked around her for inspiration when writing her novels. 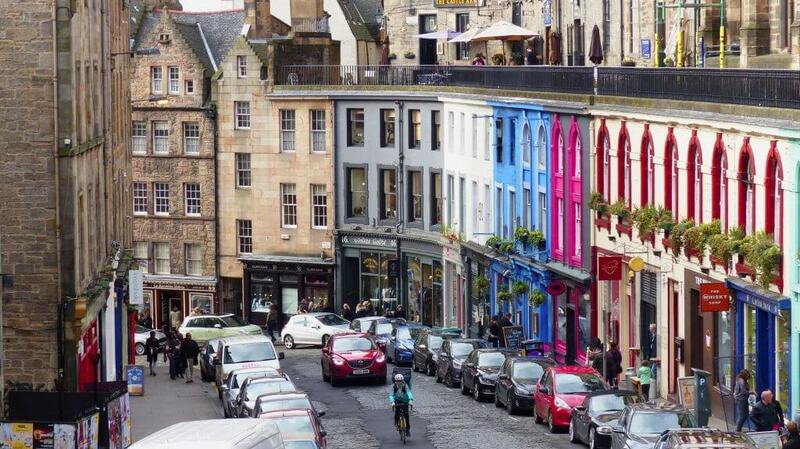 For example, Victoria Street was her main inspiration for the mysterious and magical Diagon Alley, where the young Harry Potter bought his first year’s school supplies. If you dare venture into this wizarding street, don’t hesitate to stop by Diagon House or The Boy Wizard, two Harry Potter Shops where you will find all the magical supplies you need. 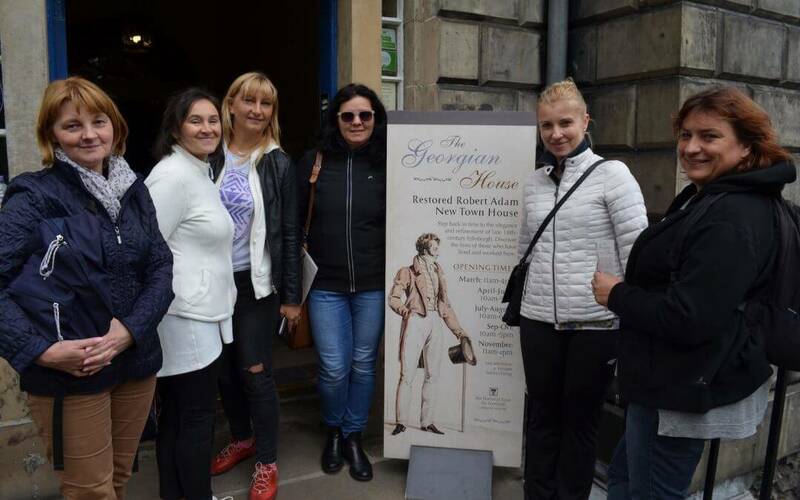 Victoria Street is not the only part of Edinburgh that inspired the author. With a 7-novel series, you can imagine the number of characters evolving in Rowling’s work and all the names the author has had to make up for them. 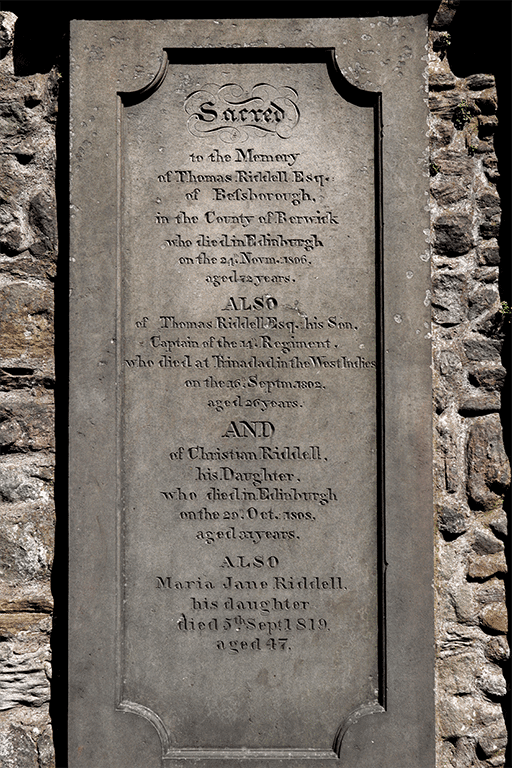 Hidden away in Greyfriars Kirkyard, some very interesting tombstones can be found, which most likely helped Rowling in the naming process of some of her characters: Tom Riddle, McGonagall, Moodies, etc. Walk down the graveyard’s alleys for more spooky discoveries! This beautiful Victorian luxury hotel was once Rowling’s safe haven. She frequently visited the hotel while she was finishing Harry Potter and the Deathly Hallows. Room 552, now renamed the J.K. Rowling Suite in her honour still holds the desk and chair where the author sat to write. 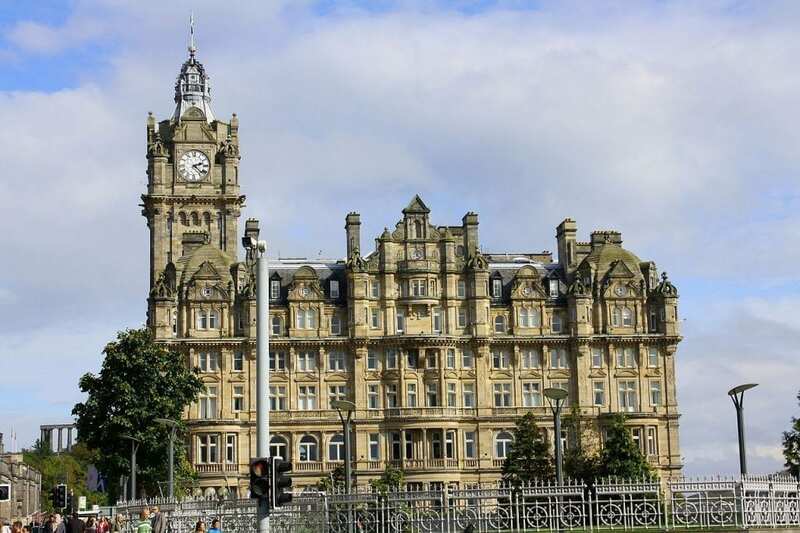 The Edinburgh City Chambers is another stop HP fans will not want to miss when visiting Edinburgh. 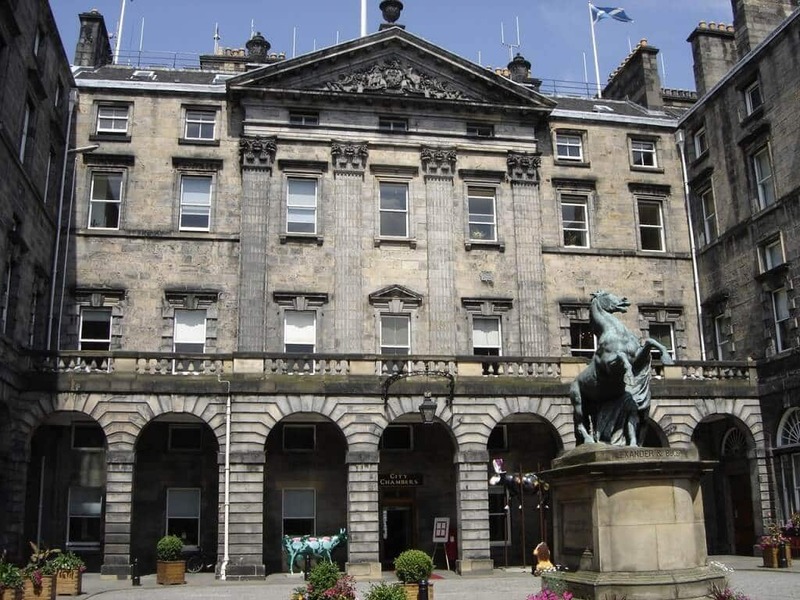 Rowling’s handprints can be found on a flagstone in the quadrangle in front of the City Chambers. 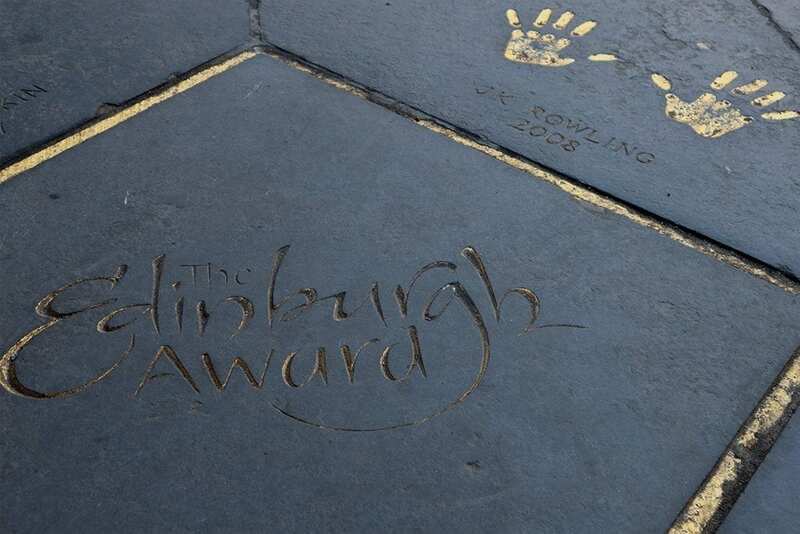 The prints were set in 2008 when Rowling received the Edinburgh Award. Although nobody except Rowling really knows where Hogwarts really is located, many believe that the castle was inspired by George Heriot’s School in Edinburgh. The gothic architecture of the breath-taking school situated in the city centre will undoubtedly remind fans of Harry’s beloved school. Even the four houses of Hogwarts may have been inspired by the George Heriots School’s four towers! 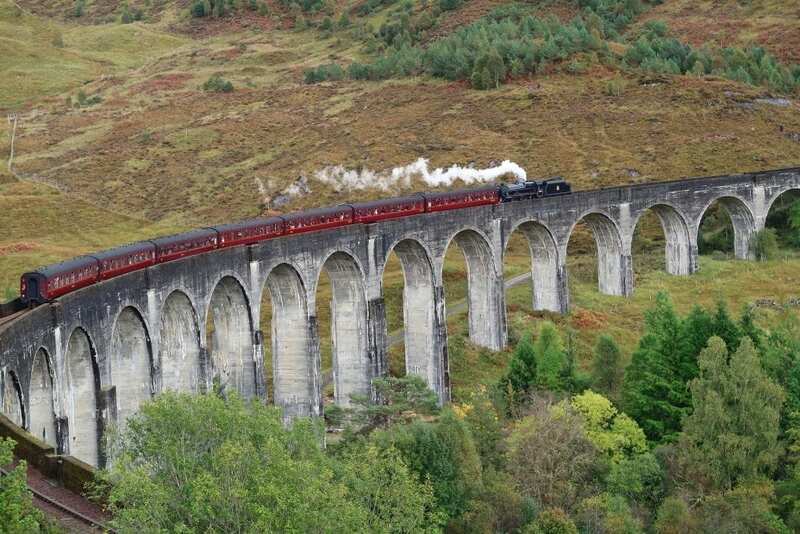 Hidden in the depth of the Scottish Highlands, this railway is famous for being featured in the Harry Potter movies. 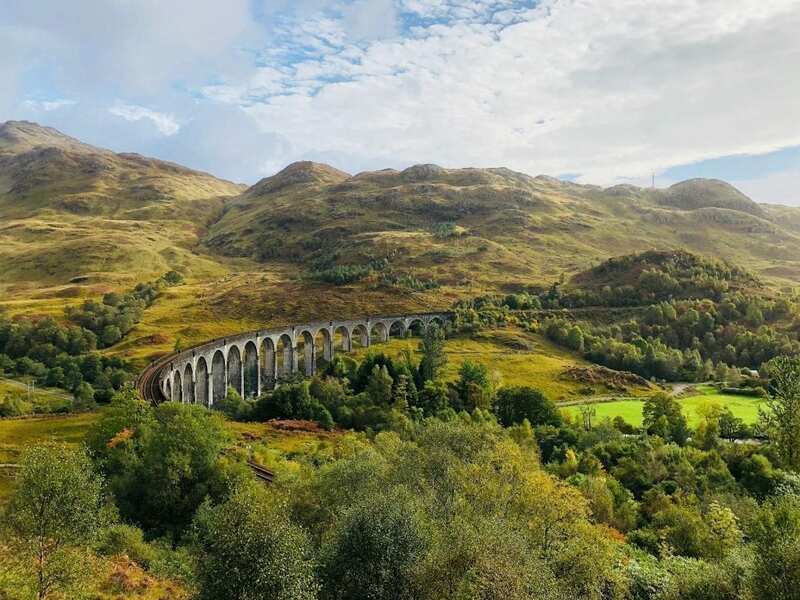 Harry Potter enthusiasts will be happy to know that the Hogwarts Express is no longer only reserved for Wizards: Muggles can now journey across Western Scotland on board the famous steam train just as Harry and his friends did! 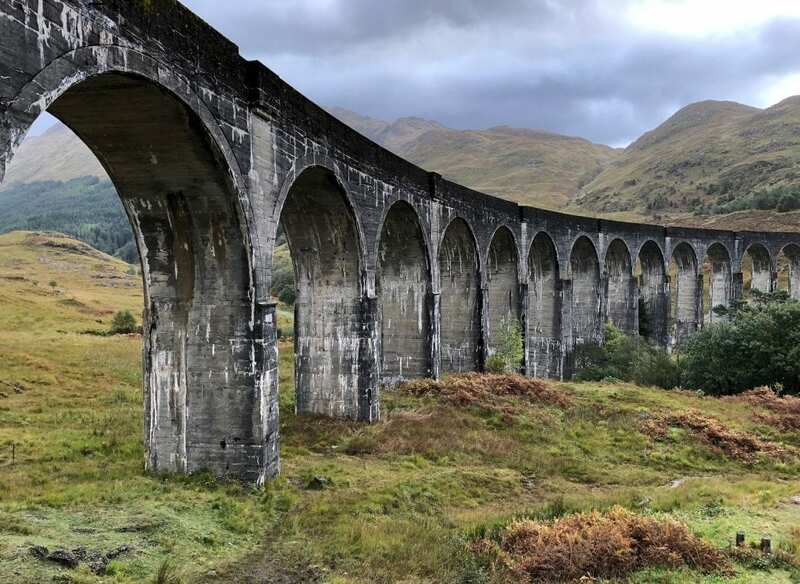 Finally, Scotland’s countryside is packed with breath-taking landscapes which are heavily featured in the Harry Potter movies. Courses can be a good way to exchange ideas, present yourself to others, and sometimes even make some funny jokes. 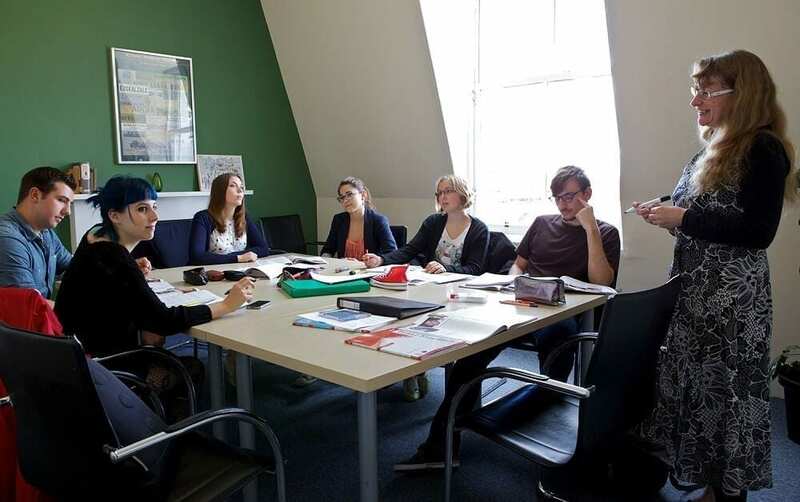 At inlingua, students are encouraged to speak as much as possible in English, so you will have plenty of opportunities to chat with your fellow classmates. Social programmes are an excellent way to connect with other students as you will have plenty of time to carry on discussions with each other outside the school. By walking together through the streets or waiting for the bus, you surely will ask your class mates more than once where they come from and what they usually do in their country. On top of that, social programmes are an excellent way to discover the city you live in and try some new activities that can be fun and entertaining. So, next time there is a social activity, put yourself on the list! Social media is also a good way to keep in touch with your school mates. If you had a good time with somebody, why don’t you exchange phone numbers? Or you could even exchange your name and chat on WhatsApp, Facebook or Skype. So, next time you go out, you could phone them and organise a rendezvous. See Our Erasmus + Courses on Film! 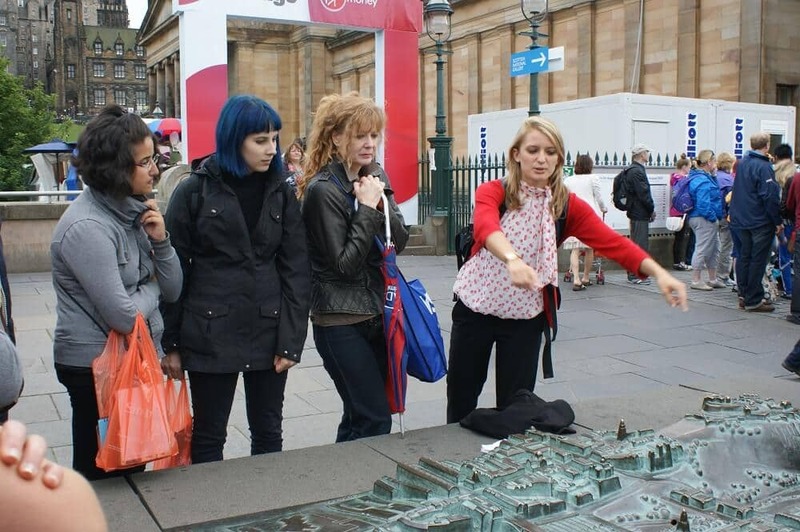 Our Erasmus + courses take place all year round and we still have some spaces available for 2016! Find out more here. 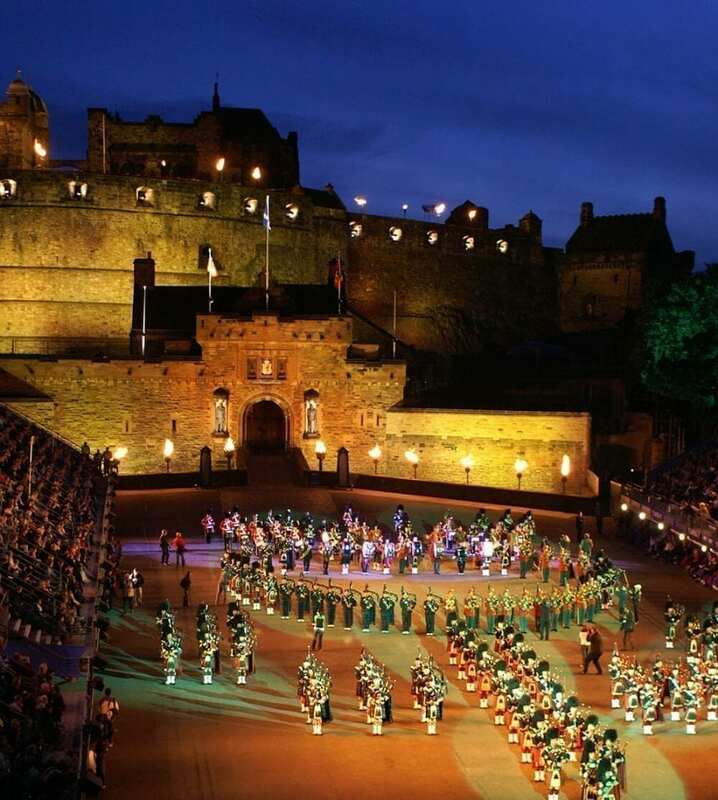 The Edinburgh Festival Fringe (also known simply as “the Fringe”) is a major event which takes place every year. 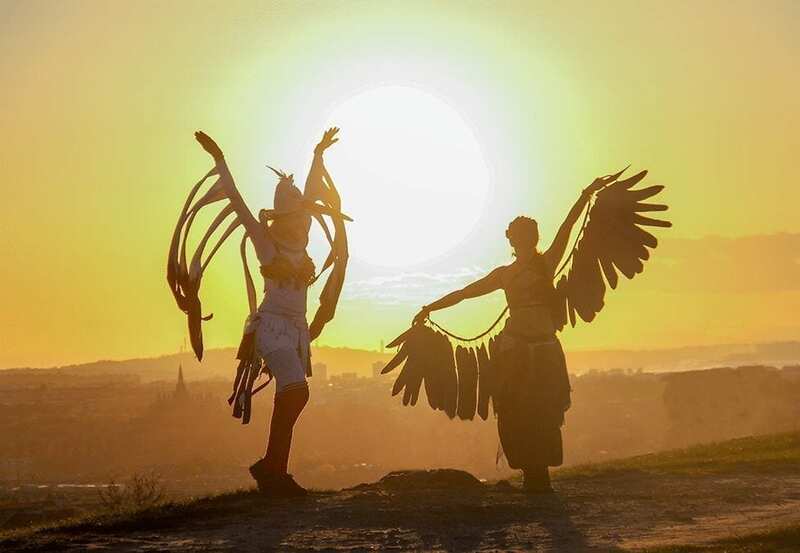 For 25 days in August, Edinburgh is completely transformed with thousands of performers flocking to the capital for a chance to showcase their work in one of hundreds of venues around the city centre. 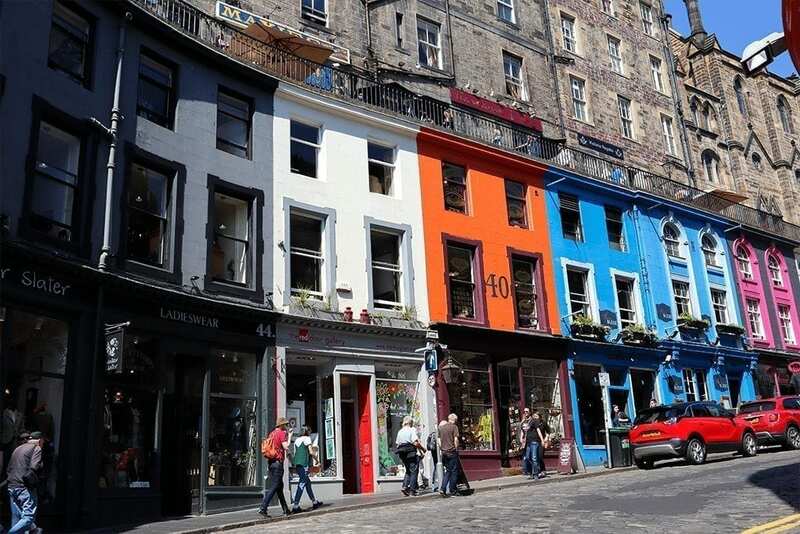 The Fringe started in 1947 when a handful of theatre companies turned up uninvited to the official Edinburgh International Festival to perform for the large theatre crowds that had already gathered in the city. 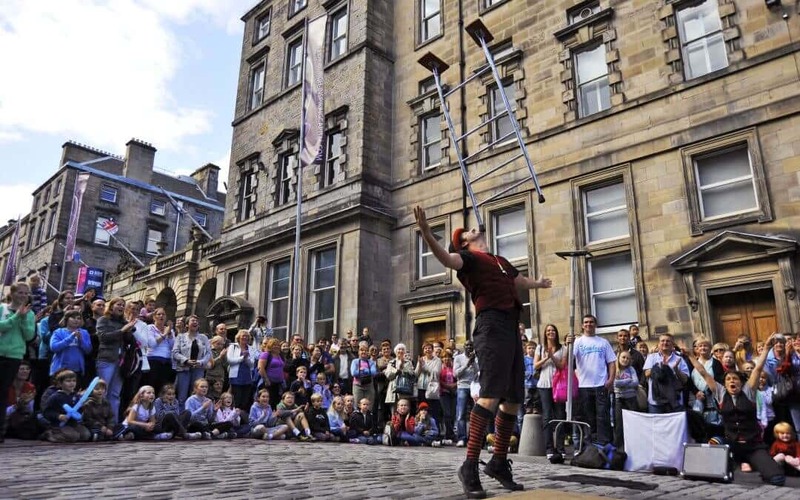 From these humble beginnings, the festival has now grown into the largest arts festival in the world and, in 2014, the Fringe featured a record number of 3,193 shows. The Festival is supported by the Festival Fringe Society, which publishes the programme, sells tickets to all events from a central physical box office and website, and offers year-round advice and support to performers. The Society’s permanent location is at the Fringe Shop on the Royal Mile, and in August they also manage Fringe Central, a separate collection of spaces in Appleton Tower and other University of Edinburgh buildings, dedicated to providing support for Fringe participants during their time at the festival. Even today, any act in the world can sign up to perform at the Fringe so you will always find an extremely varied mix of shows, from established celebrities and musicians to student theatre companies and aspiring artists. Popular acts featured in the festival include cabaret, comedy, dance, live music, theatre and circus. This year the festival will take place from 5th – 29th August and you can see the full schedule here. 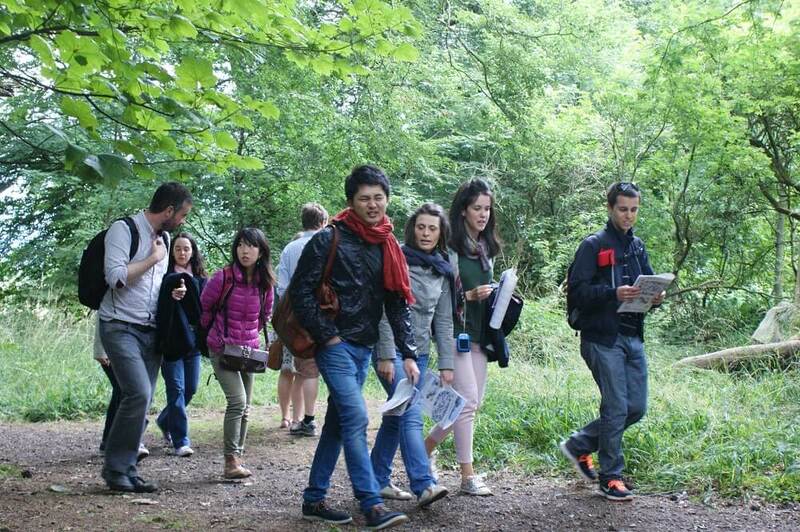 Don’t forget you can also explore the best the festival has to offer with our English Plus Festivals course! We’ll also have the chance to visit the Fringe on our social programme throughout August. Look out for these other festivals happening in August too!